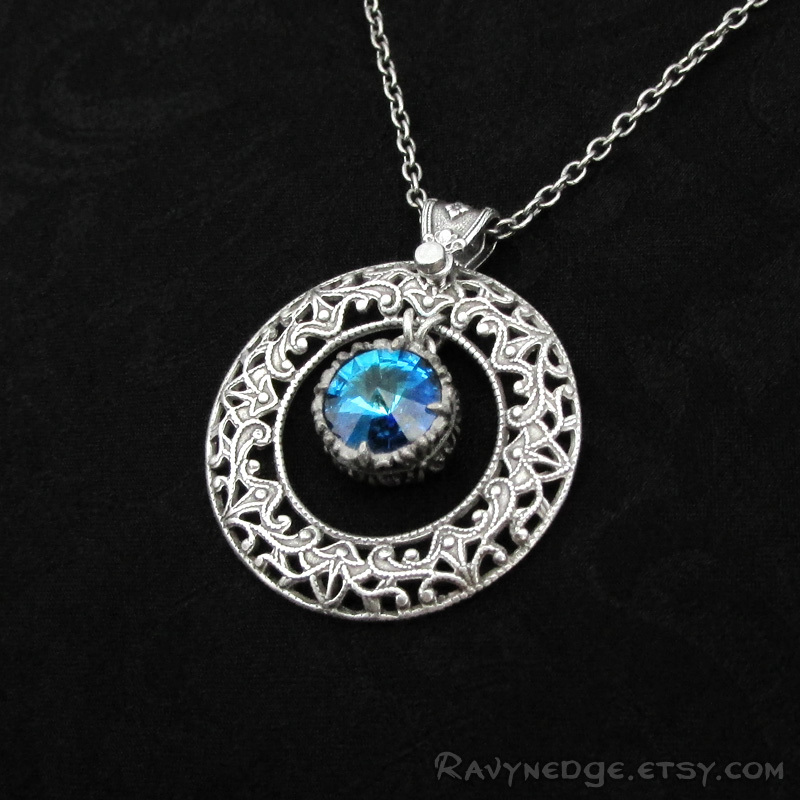 Eventide Necklace - Bermuda Blue Swarovski and Round Silver Filigree Pendant by RavynEdge. 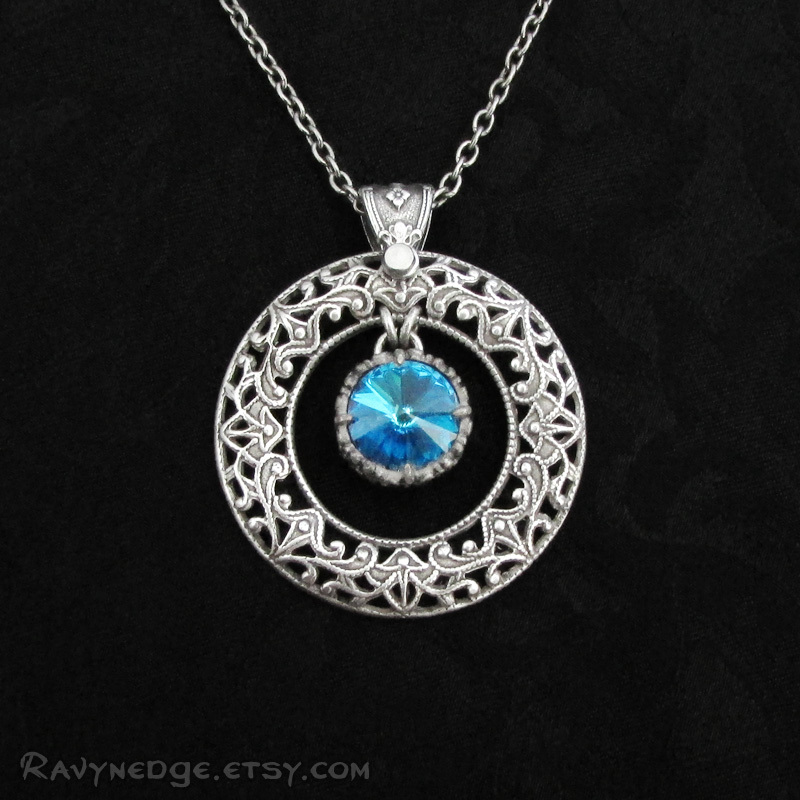 Eventide is an elegant pendant featuring a ring of ornate filigree with a center of sparkling rivoli of bermuda blue Swarovski crystal in a fancy fleur-de-lis gothic setting. Bermuda blue changes with the light displaying a brilliant spectrum of blues and sea greens through Swarovski's precision facets. 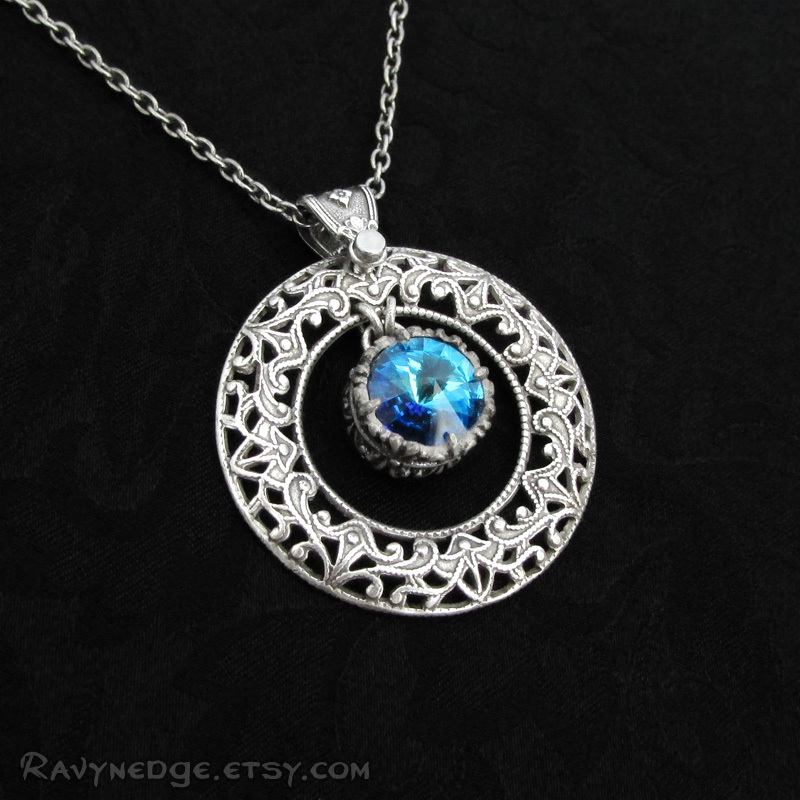 The pendant measures approximately 1.3 inches (34mm) from the top of bail and 1.1 inches (28mm) wide. The crystal is 8mm wide. 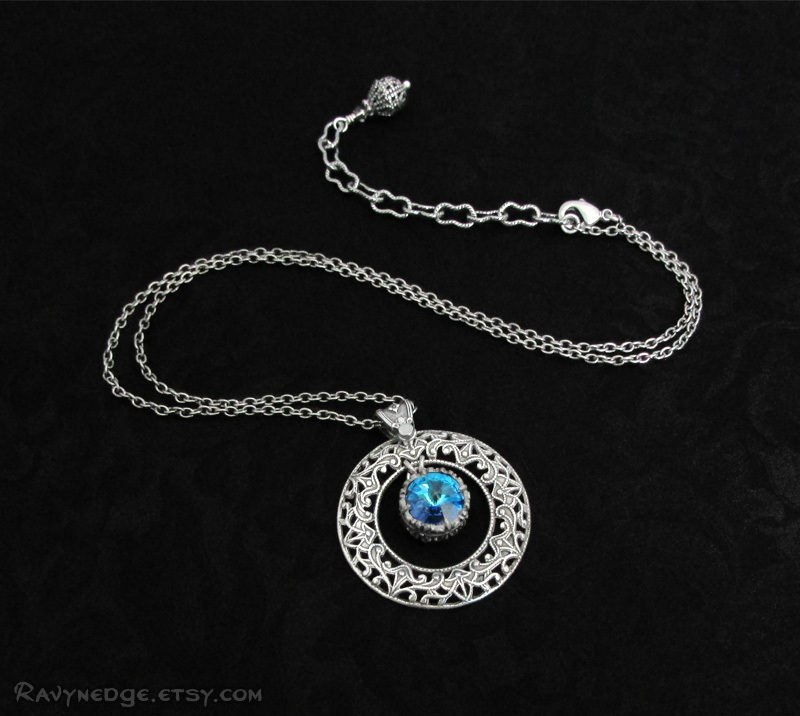 The sterling silver plated brass chain adjusts from 16 to 18 inches (40.6 to 45.7cm) and closes with a lobster clasp. 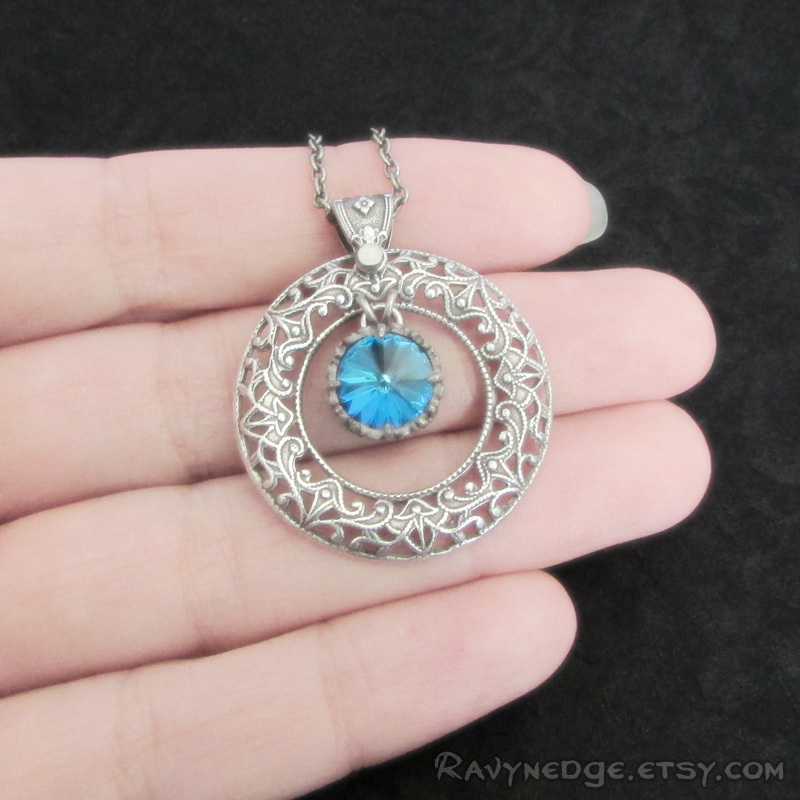 All metal is made of sterling silver plated brass and has an oxidized finish to give that wonderfully romantic and gothic look with a vintage appeal. Nickel free and lead free.